for obvious reasons I am not listing every single title announced at E3. EA came to E3 with many of there games already mentioned or leaked in some way, shape or form. Battlefield V kicked the conference off mentioning that it will take on the Battle Royale gamestyle as well. DICE also teased one of the war stories of Battlefield V which will surely be great like the previous single player campaigns. Next up was FIFA 19, featuring, for the first time ever, the Champions league! FIFA 19 is set for release on September 28, 2018! Next up was Unravel 2, picking up from the first one but building on the emotional journey of Yarny. This time bringing in some new co-op features that makes a already great title even better. To make it even better, Unravel 2 is available now on EA access! Get it now, grab a friend and enjoy the heartfelt saga that is Unravel 2! Titles like Madden 19 , which is heading to PC for the first time in a decade, as well as NBA live 19 were also showcased promising bigger and better plays. Last but not least was Anthem… Anthem is arguable the most anticipated title on the EA roster and they showcased some more gameplay showcasing multiplayer as well as strong RPG features. Microsoft kicked their conference off with more than 50 titles on show! Smartly dodging the bi question about exclusives. First up was a Halo Infinite, it took awhile before any sign to prove it was Halo appeared but nothing says Halo quite like a shot of Master Chiefs’ helmet. Phil Spencer said ” greatest adventure yet”… And that is saying something. Ori and the Will of the Wisps was up next delivering stunning visuals which will be coming somewhere in 2019. Sekiro: shadows die twice is a new title from FromSoftware and it brought fond memories of Nioh which promises to deliver a true masterclass in the mythical Japan which will be coming in 2019. Todd Howard from Bethesda made a unexpected visit to the Microsoft conference to show some more gameplay of the impressive Fallout 76. It really looks visually spectacular and promises to deliver hours of playtime. 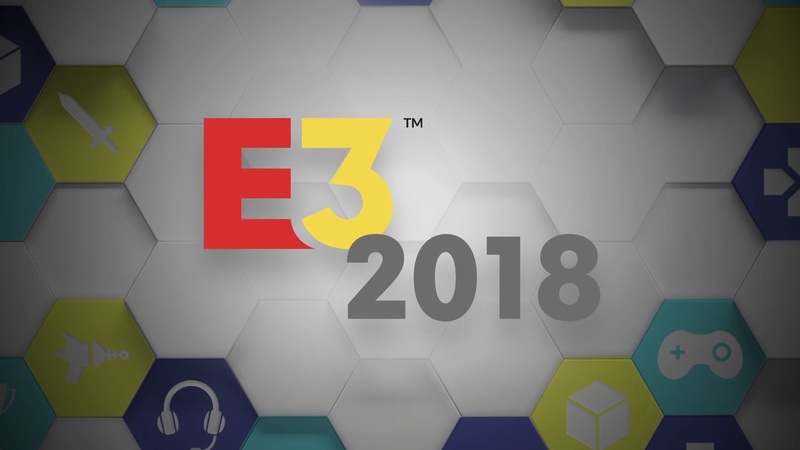 DontNod and Square Enix brought a suprise title to E3 in the shape of The Awesome adventures of Captain Spirit which, coming from the creators of Life is Strange, promises to be a thought provoking emotional rollercoaster. To make it even better this this game is absolutely free, and available right now! DeepSilver delivered with their hauntingly beautiful Metro: Exodus. Building on the previous iterations and expanding and developing from it Exodus is bringing a massive and awe-inspiring open eerie wasteland while you will be battling off mutated creatures as well as religious fanatics! The long-awaited squeal to Kingdom Hearts is coming and it brings with it Elsa from Frozen. Sea of thieves teased releases of the next two expansion hoping to bring dwindling player count back. Microsoft newly acquired Playground games showed us Forza Horizon 4 which is set in Britain and is bringing the best open word racing experience ever! With amazing seasonal weather which affects all players and it is coming Game Pass at launch! PlayerUnknown Battlegrounds gets new content and map. The Division 2 is officially announced and looks magnificent! Xbox GamePass is pushing for a large amount of new games. New games available now: Fallout 4, Elders Scroll online, Division. Shadow of the Tomb Raider gets gameplay footage which will blow anything and everything out of the water! Session deliver the next best thing to Skate 4 with a true skating simulator. Black desert Online is coming to Xbox with a Beta dropping soon. Unexpectedly, a new Devil May Cry 5 was announced from CapCom stating: DmC is back! Dying Light 2 brings parkour aplenty. Just Cause 4 is back, chaotic as ever! Gears of War 5 brings all that you would expect! And last but not least as the conference was closing we were treated to possibly one of the best games coming in the future. very well disguised as you will see in the video was CD Projekt Red’s Cyberpunk 2077! It was only a trailer with no gameplay footage but what we have learnt from the Witcher 3 is that when CD Projekt Red makes a game, they do it well! Bethesda is known for its plethora of games and all of them with long histories ranging from the first consoles and early PC’s. E3 2018 started with the sequel to the previous-gen masterpiece Rage 2. Learning and improving from the previous outing Rage 2 bring crazy characters, stunning scenery, awe-inspiring visuals mixed with all out chaos in the wastelands! Next up is a full-fledged sequel to one of the fathers of the modern day shooter, DOOM eternal! It did not show too much expect the tried and tested double barrel shotgun getting loaded and ready to do business! Prey was launched about 1 year ago and was met with great reviews for good reason and Arkane studios were happy to announce new DLC content for Prey, namely Mooncrash. Bethesda was not done yet producing what was a rather big surprise to many in the form of Wolfenstein Youngblood, no more BJ Blazkowicz, rather step into the shoes of his twin daughters in the 1980’s and see them take on the Nazi’s same way their farther does! Fallout 76 was once again mentioned with some more details showing that this title will be “completely online” even though single player would still be capable. Starfield hints at a FPS/RPG hybrid but we will need to wait for QuakeCon for more info. Beteshda closed out there conference with a simple teaser for Elder Scroll 6… nothing more than a aerial shot over a coast side land with the words Elder Scrolls VI. 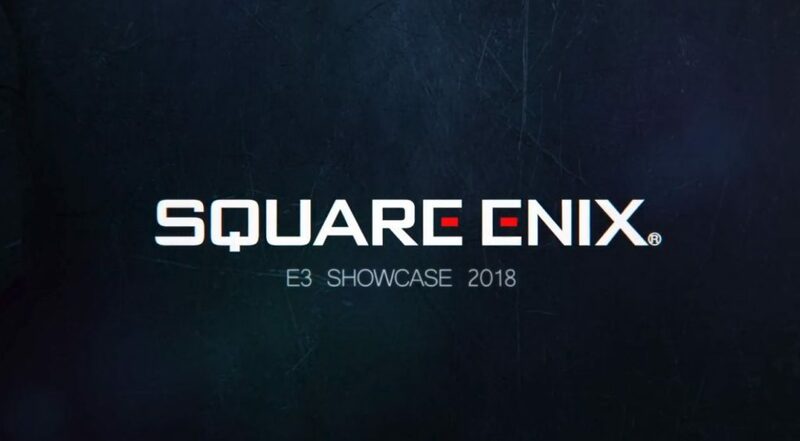 Square Enix had a rather strange E3 conference. Starting out of the blue and having no one even speak apart from the intro. Because many of their titles had been mentioned before their conference I am leaving out the likes of Shadow of the Tomb Raider, Just Cause 4, The Adventures of Captain Spirit, and the long awaited Kingdom Hearts 3. So lets get the ball rolling. Dragon Quest XI was announced and charmed many with its quirky yet warm art style and role play. Dragon Quest XI is coming to PC and PS4. One of the few actual new games that were announced and looks truly promising is Babylons Fall, it depicts a host of pictures during the ages and ends off in a soldier, seemingly defeated, but at the last moment using his power to slice through his foe without lifting a finger… Nothing more has been said not even a proposed launch date. Final Fantasy XIV X Monster hunter are not new to collaborations and this one will be nothing different. Expect some monster hunter in your FFXIV online. These events kick off later this year. The Quiet man was the last reveal from Square Enix and it was rather strange. It starts as live action and switches to, what we think is gameplay, of a deaf man beating up hoodlums in a alley… Did I mention he seems to be deaf? Coming to PC and PS4. The Ubisoft conference was, as expected, completely and utterly crazy! It started with a massive display with dancers and bands, carnival style. Not only was this the intro to the conference but it was the reveal for Just Dance 2019. That jumped straight into the awe-inspiring, jaw dropping, face melting, dare I say i, most anticipated title of this generation, Beyond Good and Evil 2! Visually spectacular into movie followed with pre-alpha gameplay footage. Next up was Rainbow Six Siege… Siege has had a unprecedented growth, the community is now 35 million strong. But what Siege wanted to showcase was not the game, but a documentary…Another Mindset. Ubisoft really took it to the next level with their announcements and Trials Rising was no different! Next up was some more news on Division 2. In a strange turn of events the next title shown was Mario Rabbids. Skull and Bones was next and it looks spectacular! The cinematic trailer was simply spellbinding and this title looks extremely promising. Details were given on how looting works as well as how important the environment is from the weather to the tide to the trade routes! Check out some gameplay here. Elijah Wood himself announced Transference a first person mystery where you need to jump between players trying to solve the strangeness happening around you. Transference comes to traditional consoles as well as VR. Starfox and starlink: battle for Atlas was next to make an appearance. 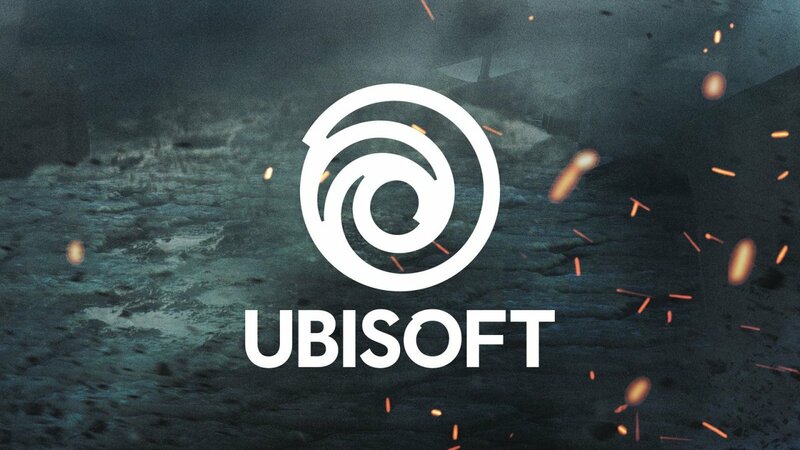 For Honor was also mentioned in the Ubisoft conference. Until next week, if you are playing on PC you can grab For Honor for free on Uplay! But that is not all, Marching Fire is bringing, what seems to be, the Chinese Dynasty to the mix. The Crew 2 was up next, with its Beta being available a little while ago the new teaser simply displayed more of what seems to be a immense open world racer! Open beta coming June 21st. After its hiatus after some less than stellar titles Assassins Creed has come back with vengeance in the shape of Orgins. Now Ubisoft takes the next step and brings us the Roman themed Assassins Creed Odyssey! You have the option to pick from 2 protagonists, whichever you choose you play with that character for the whole game. The Sony conference, as expected was going to be highlighted by a few key titles and Sony did not waste time with showcasing Naughty Dog’s The Last of Us Part II showcasing Ellie and how has grown into a woman, and a true killing machine. The cinematic trailer blends straight into some gameplay footage showcasing how truly amazing the title is going to be. After a brief intermission where they discussed Black Ops 4 as well as showed a new VR Tetris, it was straight back to the big titles with Days Gone which got a brief show straight to a strange looking Twin Mirror, next up a very cute looking Ghost Giant. Destiny 2 showed a different side of Cayde-6 as he sits staring down the barrel of a gun as the camera pans showing a broken and defeated wasteland the shot goes off and you hear what you assume is Cayde-6’s body drop to the floor… The new Destiny 2 expansion called Forsaken. After some strange flute playing we were treated to gameplay of the jaw-dropping Ghost of Tsushima. Not many games create the atmosphere of the ancient samurai times quite like this. Remedy did not give too much with a teaser for a title called Control. Which looks a lot like Quantum Break from what I can see. a Resident Evil 2 remake was very well received by everyone in the arena, coming Jan 25 2019.